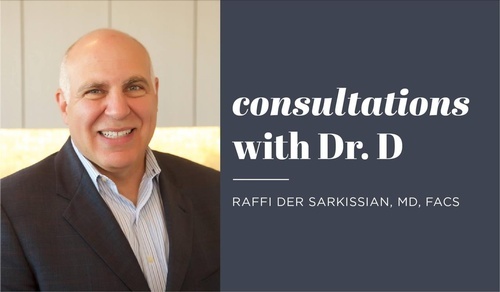 Raffi Der Sarkissian, MD, FACS, Double Board Certified Plastic Surgeon & INTERLOCKS MedSpa Medical Director visits monthly to meet with our clients. Services include Facial Plastic Surgery Consultations and Injectables such as Botox®, Kybella®, and Juvederm®. Regularly $150, consultations are FREE (up to 30 minutes). Have a private dialogue in a private room within our relaxing spa setting. Receive an objective, professional opinion and injectables that day, if appropriate. Call 978-465-3010 to speak with our MedSpa Service Concierge and book your appointment.